Today Mrs Wickens visited the Kestrels at Swattenden. She said: "We've had a brilliant day! 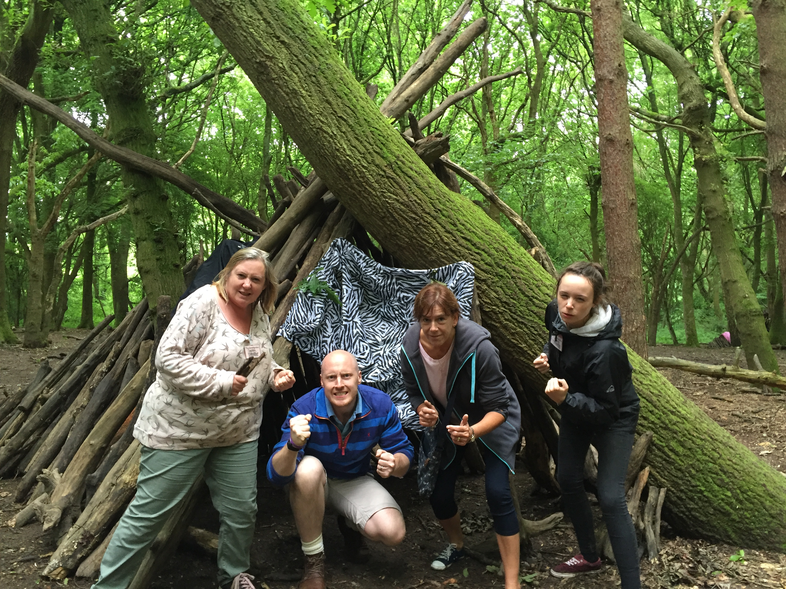 The staff won the shelter building contest. Mr Atkins did a great sales pitch to the judge; he superbly explained the shelter's excellent anti-zombie facilities! The children tried to sneak in and take our logs but we spotted them every time!